For 70 years she put up with his (sometimes volcanic) rumblings. He doted on her with diamonds, and was a poorer father for it. The youngest of 5 much older siblings, she was babied into being passive and timid. He was a blustering bad boy who loved control; a lifelong natural at most things mechanical. He took seriously his duties as a man, a spouse, and head of the household. He didn’t brook anything that deviated from his definitions of right and wrong, a bigot in many ways. A mother and military wife who could fend for herself and children when she needed to, she preferred being cared for . . . and he liked it that way. Both were fortunate: for much of their lifetimes, neither was chronically ill or disabled. Unless you count legal blindness, which he didn’t (though most who drove with him did). And even though she developed macular degeneration, a disease of the eye that usually leads to blindness, she could sometimes see the world better than he did. Several years ago her macular degeneration began to impact both of them. By then, her hearing had deteriorated, too, and her world shrank. Although she rarely admitted fears (not to us, anyway) he expressed his the only way he knew how: he fixed as much as he could. He cut her food, gently guided her through the dimly-lit places they avoided more and more, lent her his arm, and searched out gizmos and gadgets he found in catalogues. He took care of her. Last year, George left Kate. True to his role, George had organized everything, including who his wife’s legal caregiver was to be — my husband. Now, almost a year later, Kate no longer plans on joining George in death right away and doesn’t cry for hours each night. Not that she tells us, anyway. As her vision deteriorates Kate, not surprisingly, adapts. David and his sisters do what they can from a distance of a thousand miles, mostly via phone calls and the occasional visit. 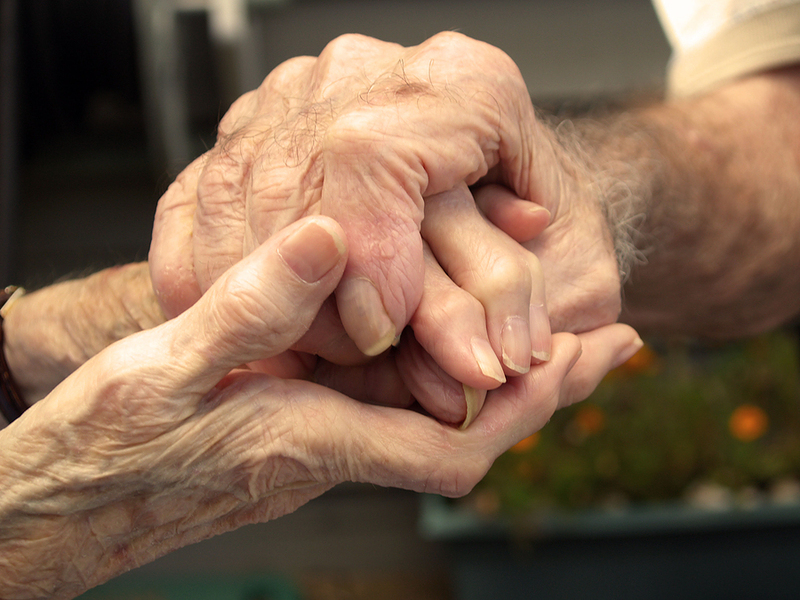 Immediate support comes from close friends and a kind and caring nursing home staff. Today, it takes a dozen people to do what George did. Even so, he can never be replaced. None of us could live well if we spent too much time dwelling on the eventuality of death. But some of us — the visibly or invisibly disabled or chronically ill — need to spend more time thinking about the profound changes a caregiver’s death brings. Like David’s parents, my husband and I are fused by years, experiences, commitment and love. Though I’m the one diagnosed with multiple sclerosis, in truth MS is something we both carry. 1. Plan now. The outcomes might look different, but the grief will be the same. 2. Get your house in order. You don’t have to be a survivalist in order to be prepared with legal, medical, financial, and personal concerns. 3. Create your own family. Gather together people who care, no matter what the will says. 4. Get outside each other. Get perspective from someone trustworthy and caring who’s outside the mix — minister, counselor, or therapist. 5. Express yourself and your needs clearly, often, and appropriately. Consider what to say and who you say it to. Sometimes being blunt can be hurtful; at other times necessary. Some people are better prepared to bring a casserole or help with housekeeping than to see you cry. Try out your voice to a journal, or pay a therapist or counselor . . . they can be skilled and trustworthy allies. 6. Keep in touch with others. It’s unfair (and shortsighted) to place the burden only in one place — like with your son. 7. Have someone to talk to, starting now. Clergy, therapist, physician, friend, partner, family can help you sort out what to say and how to say it. Think of yourself as a nuclear reactor. Keeping it to you guarantees one of two outcomes: shutting down or exploding. 8. Join a group of those experiencing what you are. There’s no substitute for having someone “get it”. Don’t believe me? Try talking to someone who doesn’t. Kathe Skinner is a Marriage & Family Therapist and Certified Relationship Specialist specializing working with couples, especially those for whom invisible disability is part of the mix. She has been diagnosed with multiple sclerosis for over 35 years. 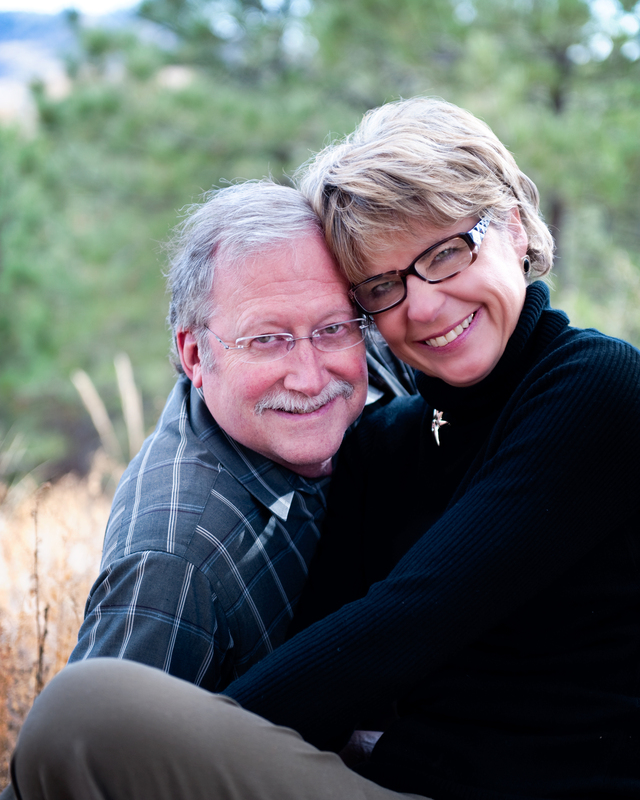 Kathe and her husband David hold Communication Workshops in Colorado Springs and are both Certified Instructors for Interpersonal Communication Systems. Along with their two hooligan cats, Petey and Lucy, they live along Colorado’s Front Range. Find out more about Kathe and David at http://www.beingheardnow.com and read Kathe’s blogs, ilikebeingsickanddisabled.com and couplesbeingheardnow.com. Thanks for the feedback…appreciate it!